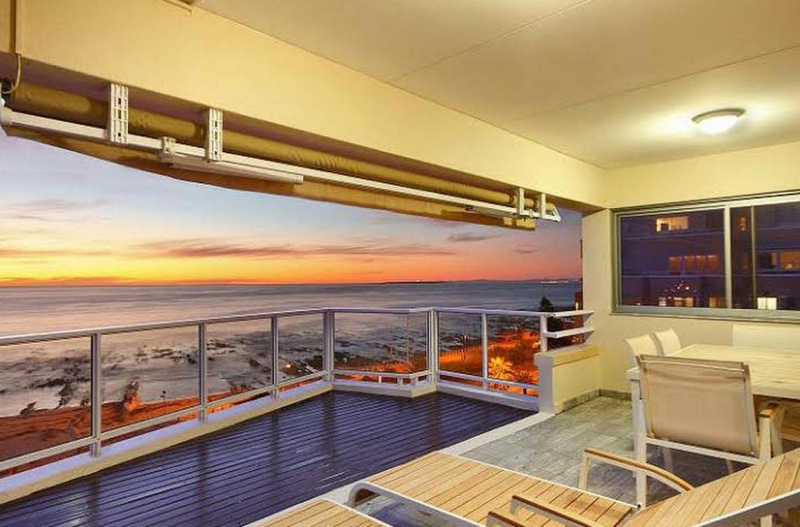 This fully furnished and tastefully decorated penthouse apartment gives you the feeling of being in a home away from home with all the comforts of a beach holiday establishment. 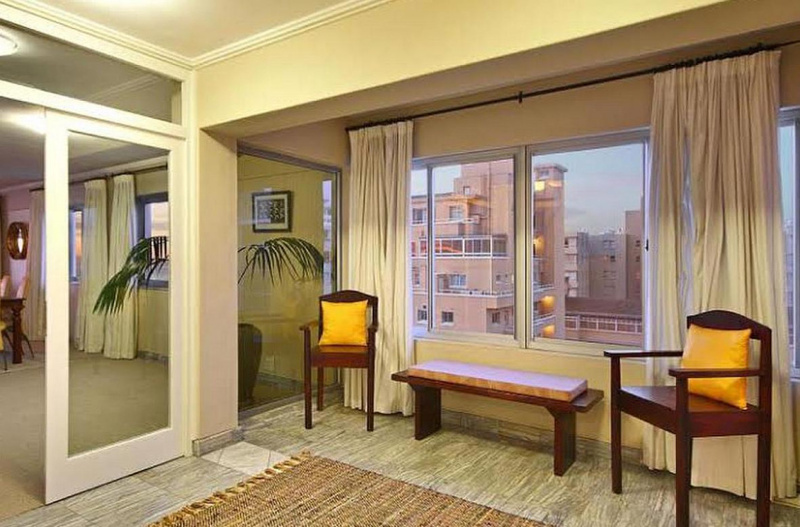 This fully-equipped penthouse is the length of two flats and the only apartment on the floor. As you enter the the inviting reception room, there is a bench from which you can catch a dream sunrise. 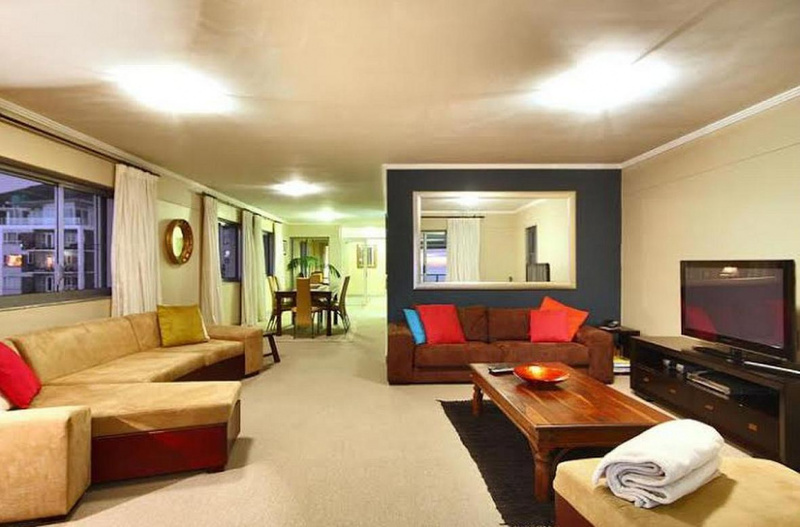 To the right is spacious main bedroom with dressing room and en-suite bathroom with separate shower and bath. 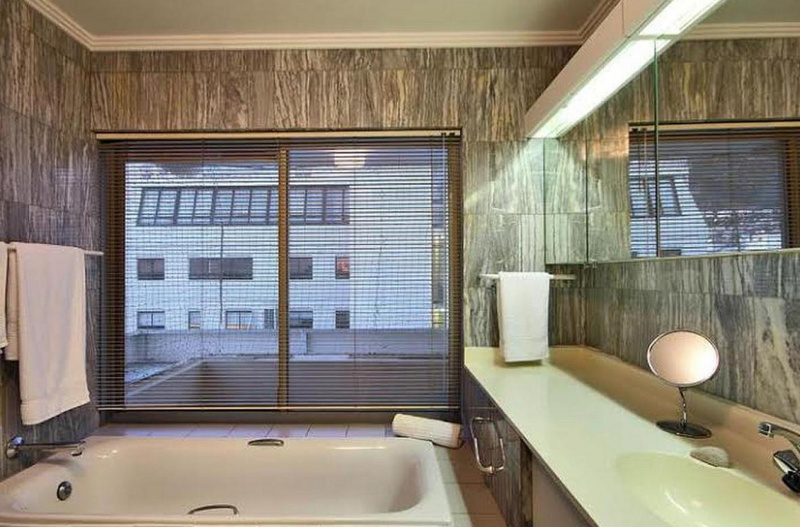 Enjoy the views of Lions Head from the bath. 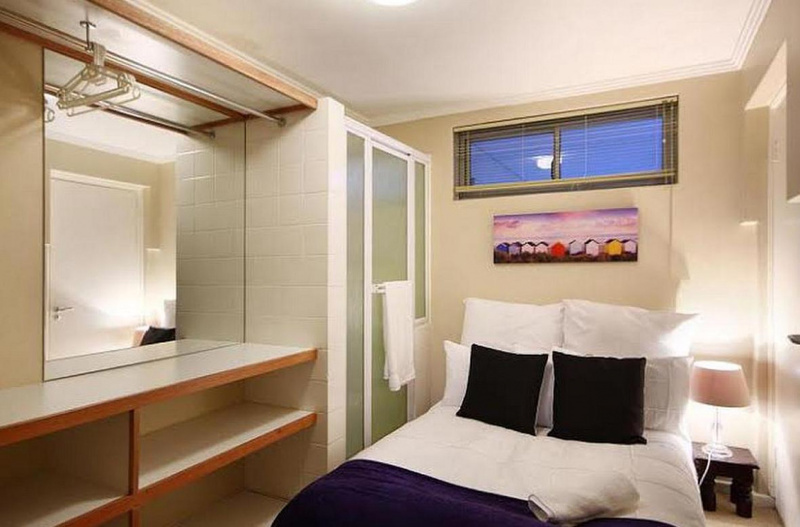 There is a warm and cosy second bedroom with separate bathroom with shower and toilet. 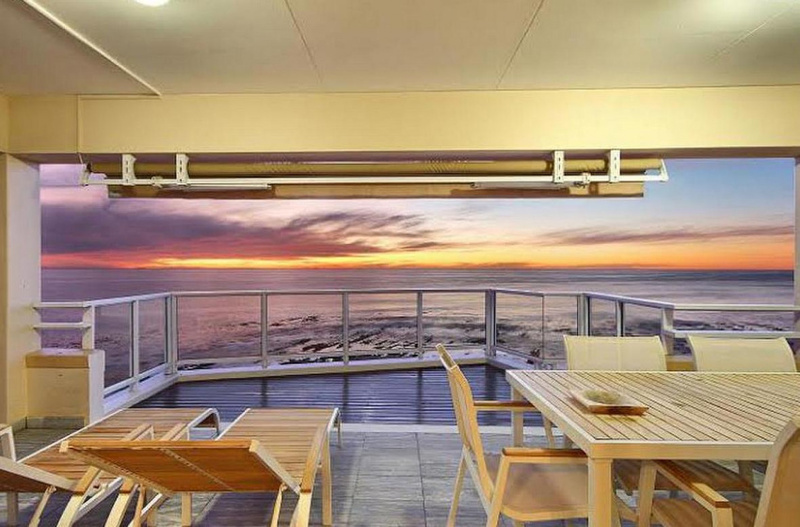 The open plan dining room and lounge slides open onto a large balcony with deck from where you can smell the glistening ocean, savour sundowners and barbeque while viewing the African sunset at its best. 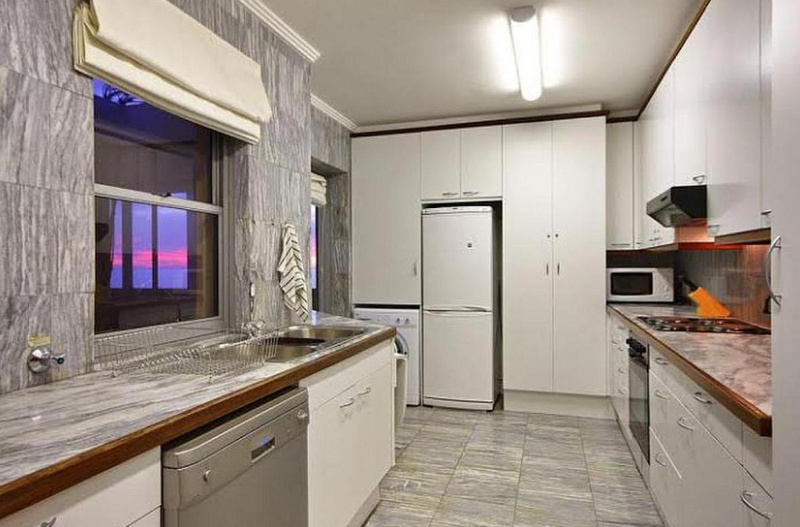 Features include a fully equipped kitchen with washing machine, microwave, dishwasher, fridge, stove, oven. Separate laundry room with tumble dryer. 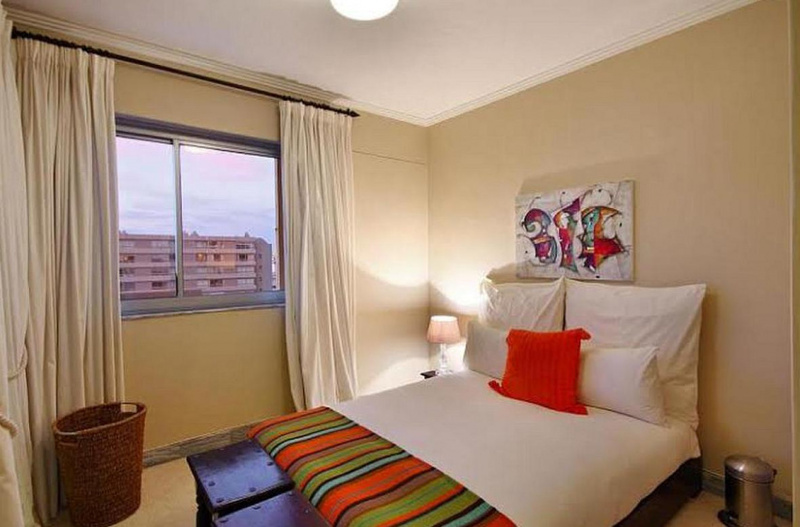 In-Room Features: •Fully equipped Kitchen with washing machine, microwave, dishwasher, fridge, stove, oven. •Separate scullery with a tumble dryer. 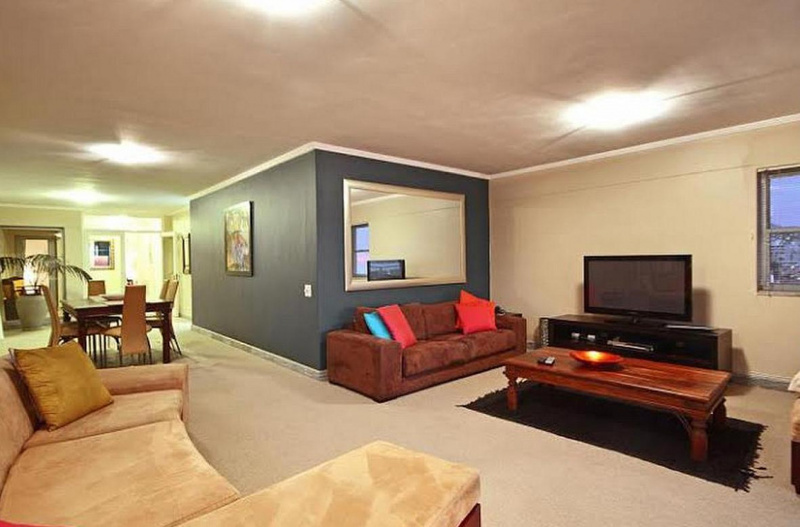 •Entertainers dream with large dining room, enticing balcony, ambient lounge and Full DSTV. •Eclectic restaurants all around the area, within walking distance. •One double garage which fits a standard size vehicle (as the height is 1.795m) is available for your exclusive use. Alternatively, higher vehicles like SUV’s, microbuses or vans etc. can park on Worcester RD or Beach RD. •Serviced once a week with fresh linen and towel change. •Excellent security. •A WIFI modem can be provided with 1 GIG of complimentary data on, additional data can be purchased via pre-paid vouchers @ R160/GIG. •One additional sleeper couch with bedding can be provided in the dining area @ R500 per person per day ideal for 1 adult or 2 children. •Shuttle services, Tours, Grocery delivery and Laundry Service is available at an additional cost. Facilities •Shuttle services, Tours, Grocery delivery and Laundry Service is available at an additional cost. Attractions Nearby attractions • Cape Town International Airport: within 25 kms • Sea Point Promenade: across the road directly opposite the apartment building • Sea Point’s nightlife, shopping and Restaurants: 1 block away less than 1 km • Cape Town International Convention Centre: within 4,6kms • Waterfront: within 4 kms • City Centre: within 4 kms • Table Mountain Cable Car: within 7,3 kms • Clifton/Camps Bay Beaches: within 4,8 kms • Sea Point’s Beaches: within 200 meters of Milton Beach Area Information This apartment is within walking distance to buzzing Sea Point, Green Point, Mouille Point and the Waterfront where you will find many shops and restaurants. When on holiday, this will satisfy your desire for a comfortable and private space to relax in. 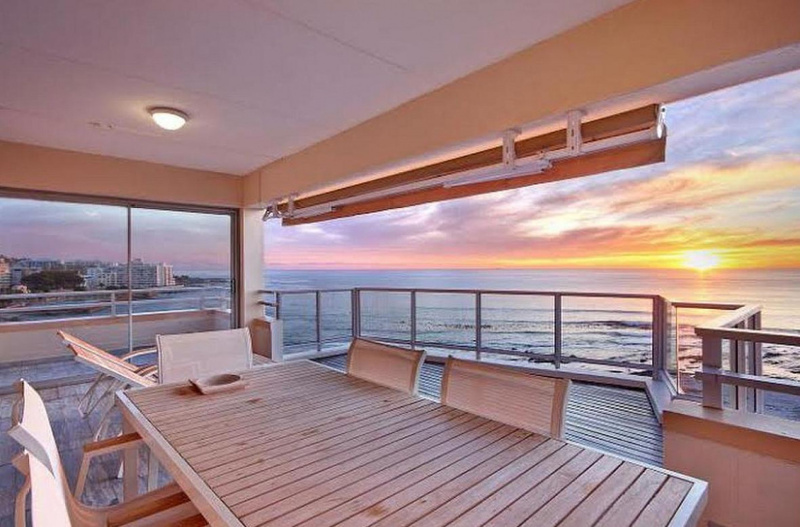 This apartment is perfectly located to explore Cape Towns hot spots; if you can get yourself to leave. Experience a sensuous celebration of life. 1. Rates and Fees: - 1.1. 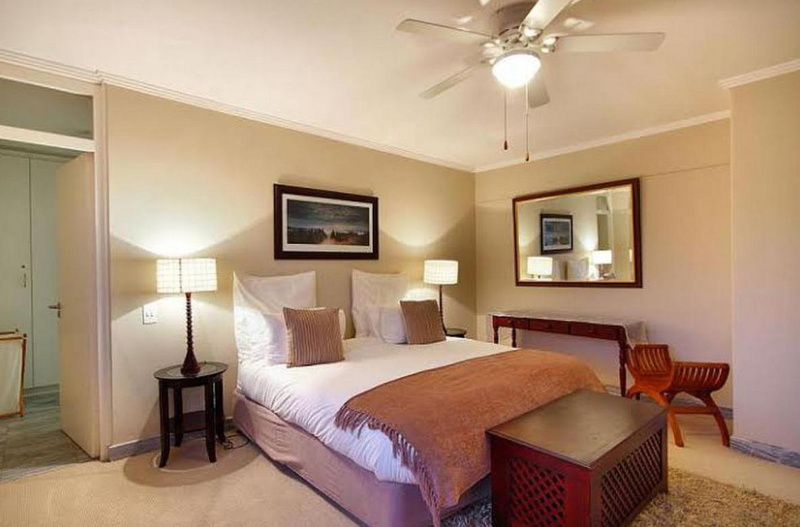 Rates are quoted for the accommodation per night, in South African rand (ZAR), (inclusive of VAT where applicable). 1.2. Red Cherry Accommodation (hereinafter referred to as Red Cherry) reserves the right to alter or amend rates and rate periods prior to payment of the deposit within the stipulated date, as recorded in the Booking Form. 1.3. Red Cherry shall levy an administration fee of R350 (three hundred and fifty rand) per booking, which administration fee shall be included in the initial invoice sent by Red Cherry. 1.4. Only cash or electronic transfers shall be acceptable as forms of payment. Alternative payment methods may be accepted at Red Cherry&#39;s sole discretion. 2. Payment of the Deposit and the Occupancy fee: - 2.1. A deposit of 50% (fifty per cent) of the total Occupancy fee specified in the Booking Form must be paid to Red Cherry within 48 (forty-eight) hours of Red Cherry issuing its invoice. 2.2. Proof of payment of the deposit must forthwith be sent to Red Cherry via: E-mail : bookings@redcherryaccom.co.za, or Fax no: +27 (0) 86 6073984 2.3. Payment of the deposit is deemed to be acceptance of the booking, these Conditions of Occupation, as well as the Rules of the Establishment. No binding contract is in force until such time as: 2.3.1. the deposit has been paid and cleared; and 2.3.2. Guest information has been received and vetted by Red Cherry; and 2.3.3. subsequent confirmation is communicated to the Guest. 2.4. The balance of the Occupancy fee, must be paid to Red Cherry by no later than 31 (thirty-one) days prior to check-in. In the event that the booking is made less than 31 (thirty-one) days prior to the check-in, the full Occupancy fee shall be paid within 48 (forty-eight) hours of Red Cherry issuing its invoice, subject to the specific proviso that no occupation of the premises shall be given without Red Cherry receiving the total Occupancy fee and the signed and completed Booking Form. 2.5. The signed and completed Booking Form must be received by Red Cherry no later than 48 hours prior to check-in. 2.6. Red Cherry may, at its sole discretion, elect to cancel the booking should the Guest fail to: 2.6.1. effect payment as stipulated in paragraph 2.1 and 2.4 respectively; and 2.6.2. return the completed and signed Booking Form by the period specified in paragraph 2.5 above. 2.7. Notwithstanding any other provision herein contained, the Guest shall be required to effect payment of the full Occupancy fee and return the signed and completed Booking Form to Red Cherry on date of issue of the invoice in respect of any booking made less than 48 hours prior to check-in. 2.8. Should the Guest fail to arrive on the check-in date the Guest shall be liable for the full Occupancy fee. 3. Cancellation of the booking by Guest: - 3.1. Any requests for changes in or cancellation of the booking shall only be effective if made in writing and delivered to Red Cherry by secure e-mail or by fax by the Guest. 3.2. Cancellation charges payable by the Guest pursuant to a cancellation in terms of paragraph 3.1 above shall be as follows: - Days before occupation date forfeiture/loss: 31 (thirty-one) days or more the full deposit shall be forfeited Less than 31 (thirty-one) days the entire occupancy fee shall be forfeited 3.3. Refunds and waiver of cancellation policies are at the discretion of Management and its ability to re-let the accommodation at the same or a higher rental. Any loss suffered by the Owner, subject to a minimum charge equal to 50% (fifty per cent) of the occupation fee, shall be deducted from any monies paid by the Guest or funds reserved on the Guest&#39;s credit card. 3.4. For all confirmed bookings for more than 30 (thirty) consecutive days, the full Occupancy fee will be forfeited in the event of any cancellation by the Guest. 3.5. GUEST INSURANCE: Guests are advised to take out suitable insurance covering the Guest&#39;s own liability and cancellation/curtailment risks for any reason. 3.6. Red Cherry&#39;s cancellation policy, reflected in paragraph 3.2 above, shall apply to all transactions unless an alternative cancellation penalty is agreed upon between the parties and is recorded in the Booking Form. 3.7. In the event of a cancellation charge arising, the amount due shall be paid by the Guest to Red Cherry within 48 (forty-eight) hours of the charge arising, notwithstanding the fact that any charges may be covered by his/her insurance policy. 3.8. The Guest shall not be entitled to cancel the booking as a result of a defect to the premises but shall afford Red Cherry or the Owner a reasonable period to remedy same. 4. Cancellation by the Owner and/or RED CHERRY: - 4.1. If the premises booked are sold or rendered unsuitable, which for the purposes hereof includes being partially or totally destroyed, by Force Majeure (Acts of God), including but not limited to fire, flood or civil unrest, Red Cherry shall notify the Guest as soon as possible and shall make every effort to source alternate premises of a similar standard and at a similar price, if available. If similar premises cannot be sourced at a similar price or at all, Red Cherry shall refund the deposit or full payment of the Occupancy fee (whichever has been paid) prior to the occupation period or a pro rata portion of the occupancy fee for the occupation period during which the Guest is not able to occupy the premises, against receipt of such refund from the Owner. Neither the Owner, nor Red Cherry shall be liable for any damage or loss arising from the aforesaid sale or the rendering uninhabitable of the premises as aforesaid. 4.2. The costs of any such relocation and alternative accommodation arising from a Force Majeure shall be settled from the Occupancy fee paid, and should such Occupancy fee be insufficient to cover such costs, the balance will be for the Guest&#39;s account. 4.3. The Guest shall hold Red Cherry and its employees, agents and its members harmless in the event of any cancellation or breach of the terms of this agreement by the Owner and any claim in respect thereof shall be made directly against the Owner and to the exclusion of Red Cherry, its agents, employees, villa manager and/or its members. 5. Changes to booking: - 5.1. Once confirmed, any changes requested by the Guest to booking dates and/or premises booked shall be deemed to be a cancellation of the first booking. 5.2. Red Cherry, together with the Owner, shall assist as far as may be possible to accommodate minor changes in the booking requested by the Guest, in writing, as long as such request is made more than 31 (thirty-one) days before check-in, and if such changes can possibly be accommodated. 5.3. Red Cherry shall be entitled to levy a fee of R350.00 (three hundred and fifty rand) for each change in the booking. 5.4. A change in the Occupant occupying the premises shall be subject to the prior written approval of Red Cherry and shall be in accordance with the rules of the booked Establishment. 5.5. Should a Guest or Occupant modify their accommodation arrangements after occupation of the premises, they will be deemed to have cancelled the booking and the cancellation policy reflected in paragraph 3.2 above shall be applicable. 5.6. Neither Red Cherry nor the Owner will accept liability for any loss, damage or any additional expenses incurred by the Guest or any Occupant and no refunds for unused services or agreed arrangements will be made. 6. Property Use: - 6.1. Red Cherry shall service the premises once weekly. 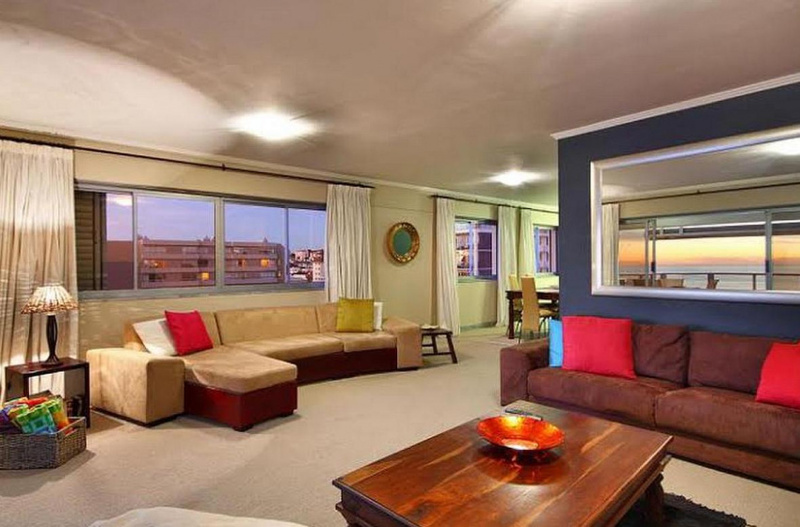 Should more frequent cleaning be required by the Guest, this may be arranged with Red Cherry at an additional rate of R350 (three hundred and fifty rand) per cleaning person. Bedding and towels in the premises shall be replaced once weekly. 6.2. The Guest shall be furnished with Red Cherry&#39;s Welcome Guide, which includes safety and security precautions as well as the Rules of the Establishment. The Guest undertakes to comply with the said rules and precautions and to inform any further Occupants and/or visitors of such regulations. The Guest undertakes to comply therewith and uses the accommodation at his own risk. 6.3. An inventory checklist is provided on arrival. The Guest shall notify Red Cherry within 24 (twenty-four) hours of check-in of any defect in the premises or absence of any item as contained in the inventory, failing which the Guest shall be deemed to have acknowledged that all items on the inventory are in the premises and the premises were received in good order and condition. 6.4. 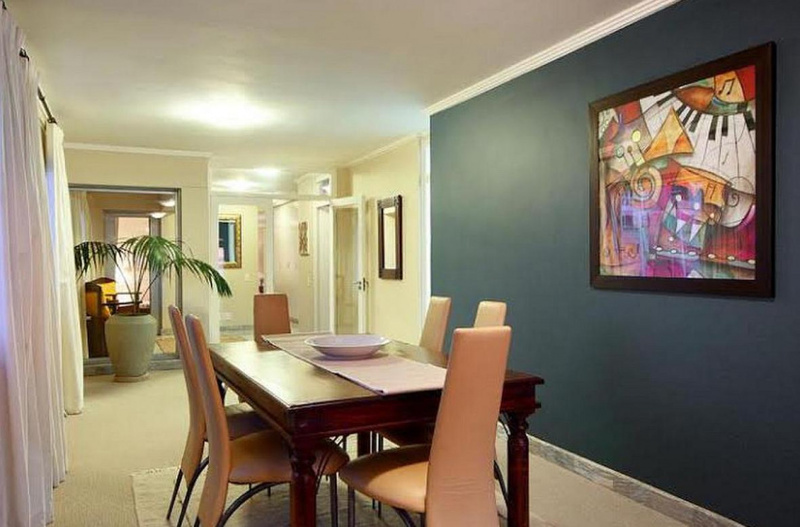 Unless otherwise indicated in the booking form, the Guest shall take occupation of the premises between 15H00 and 17H00 on the check-in/arrival date and shall vacate the premises by no later than 10H00 on the check-out/departure date. Check-outs from 10H00 to 16H00 shall be charged at 50% of the Occupancy fee per night. Any check-out after 16H00 is charged at the full Occupancy fee per night. 6.5. Any check-in or check-out between 18H00 and 08H00 will incur a penalty fee of R350 (three hundred and fifty rand). Arrival and departure times must be arranged prior to arrival. 6.6. Only the Guest and Occupants named and the number of persons listed in the Booking Form may use the premises and under no circumstances may the number of people sleeping at the premises exceed the maximum number of Occupants reflected in the Booking Form. Should the number of Occupants on arrival exceed the amount of that stipulated in the Booking Form, Red Cherry or the Owner may elect to: 6.6.1. provide additional accommodation which will be reserved and charged, subject to availability; or 6.6.2. cancel the full booking, due to the Guest&#39;s breach of the booking terms, and the penalty payable by the Guest will be as that set out in paragraph 3.2 above. 6.7. The premises may only be used for residential accommodation purposes and no business or profession shall be conducted therein. 6.8. The Occupants shall, upon vacating the premises, leave it in the same condition in which it was handed to them. Should Red Cherry be required to effect clean-up work to the premises, the Occupants shall be liable for the costs thereof and Red Cherry shall be entitled to levy an additional fee of R350.00 per person (three hundred and fifty rand) for effecting such clean-up. 6.9. No pets shall be allowed in the premises. 6.10. Smoking inside the premises is strictly prohibited. 6.11. No parties, functions or events, such as weddings, are allowed on the premises. Should the Guest host an unauthorised event, Red Cherry will charge the Guest the event rate for use of the premises. Such amount is due and payable immediately upon submission of the invoice. Furthermore, the Guest&#39;s agreement may be terminated immediately and the Occupant&#39;s will be required to vacate the premises. 6.12. The Occupants shall allow Red Cherry permission to enter the premises at any reasonable time on 24 (twenty-four) hours notice to the Occupant, to inspect the premises in order to view the condition thereof. In the event of an emergency, immediate access to the premises shall be given. 6.13. The Occupants shall permit viewings of the premises at all reasonable times and by reasonable prior notice. 6.14. The Guest/ person signing the Booking Form is responsible for the behaviour of everyone using the premises during the Occupancy period. If in the opinion of Red Cherry, the Owner, or any other person in authority, the Guest or a member of his/her group behaves in a manner which causes or is likely to cause a danger, excessive disturbance (to neighbours) or damage to the premises, the Guest&#39;s agreement may be terminated immediately. In this event the Guest shall not receive any refund and he/she shall be fully liable for any expense incurred as a result of his/her behaviour or the behaviour of the persons in his/her group. 6.15. The keys and remotes are the responsibility of the Guest, no duplicates may be made and they shall all be left with Red Cherry on vacation of the premises. For any keys or remotes lost or not returned, Red Cherry may charge the Guest R100 (one hundred rand) per key not returned and R600 (six hundred rand) per remote not returned, and if required by the Owner, Red Cherry may charge the Guest for the replacement of the locks and security tags. 6.16. Unless indicated otherwise in the Booking Form, visitors will be allowed on the premises, provided that the total sum of visitors does not exceed the maximum number of occupants allowed on the premises. 7. Nuisance: - 7.1. The Occupants and visitors must behave in a manner that is considerate to others, disruptive behaviour caused by loud music and or late night or early morning rowdiness shall not be tolerated. The Guest undertakes to ensure that occupants and visitors do not cause any nuisance to neighbouring occupants and agrees that immediate eviction may be otherwise enforced by the Owner/Red Cherry at the Guest&#39;s expense. 8. Termination: - 8.1. On the termination date, the Guest shall: 8.1.1 Settle any amounts due, such as electricity, WIFI and/or telephone account for all calls between the telephone meter reading as at the occupation date and as at the termination date. The Guest shall settle such account immediately on presentation of an account from Red Cherry. Failing such settlement, Red Cherry shall be entitled to set off this amount against the breakage and security deposit held in terms of this agreement; 8.1.2 Settle the costs of any additional services requested by the Guest and provided by the Owner or Red Cherry. 8.2. If the Guest wishes to extend the occupation period, and subject to the premises being available, this may be arranged with Red Cherry for an agreed additional Occupancy fee, which shall be paid in advance by the Guest to Red Cherry. 9. Breakage and Security Deposit: - 9.1. The Guest shall be liable to pay for any loss or damage to the premises and/or its contents, whether accidental or intentional. Any lost keys or remote control gadgets not returned will result in the lock and keys/remote control being replaced, and the Guest shall be liable for such costs. 9.2. All loss and/or damage to the premises and/or its contents will be charged at the fair repair and/or replacement cost of such item. The Guest shall further be liable to pay, to Red Cherry, an administration fee of 5% on the full transaction as well as an additional fee of R350 (three hundred and fifty rand) per hour for managing the aforementioned replacement/repairs/damages/losses/lost keys. 9.3. 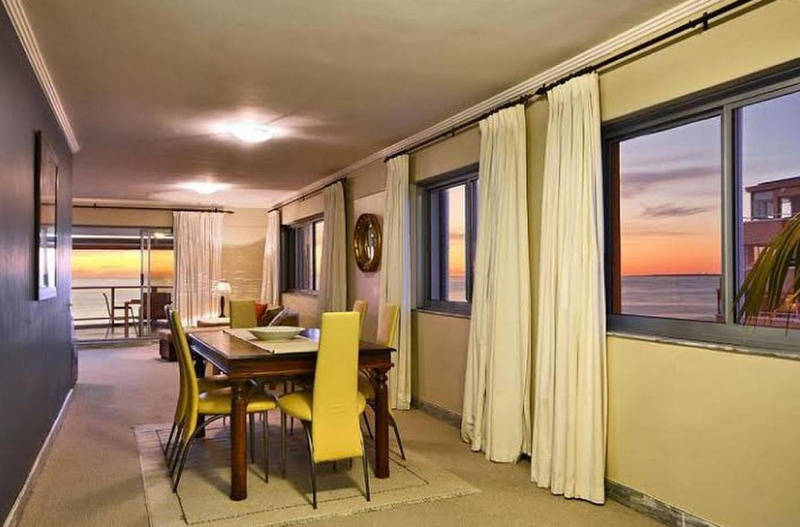 The Guest agrees to pay a breakage and security deposit of R10 000.00 (ten thousand rand), or such other amount agreed upon between Red Cherry and the Guest, by no later than 10 (ten) days prior to arrival at the premises. 9.4. If the Guest hasn&#39;t paid the breakage and security deposit in advance, the Guest undertakes and agrees to either: 9.4.1. sign the credit card authorisation contained in the Booking Form to reserve the breakage and security deposit on his credit card in accordance with the said authorisation; or 9.4.2. obtain breakage guarantee cover at the Guest&#39;s cost and expense, to the value of R200 000.00 (two hundred thousand rand-the guaranteed amount) issued by Guardrisk Insurance Company. A copy of the said application is available on request. Red Cherry will further aid the Guest should he require assistance with the processing of the application. 9.5. No occupation of the premises will be provided should the Guest fail to comply with the requirements as set out in paragraph 9.3 and 9.4 above. 9.6. Any loss or damage to the premises shall be set off against the breakage and security deposit held by Red Cherry. Should the amount of damages suffered exceed the amount of the breakage and security deposit, the Guest shall remain liable for payment thereof. The Guest therefore consents to Red Cherry deducting such excess amount from his credit card or agrees to attend to payment of the exceeded amount which is due and payable by the Guest within 24 hours of Red Cherry issuing its invoice. 9.7. Upon expiry or earlier termination of the Occupation period, Red Cherry shall be entitled to either: - 9.7.1 deduct from the breakage and security deposit any unpaid accommodation fees, additional services, all breakages, damages and/or losses in and to the premises and the contents thereof during the Occupation period in respect of repairs, maintenance and/or replacement of broken or missing items and/or costs incurred in returning the premises to the condition as received by the Guest or occupant on check in and/or additional accommodation fees and extra services required by the Guest, or 9.7.2 debit the Guest&#39;s credit card as per the credit card authorisation in respect of such breakages and/or damages and/or losses or any other amount due and payable by the Guest. 9.8 The Guest may not under any circumstances whatsoever set-off monies owing by him in terms of the booking against the breakage and security deposit. 9.9 The balance of breakage and security deposit held after settlement of the items reflected in paragraph 9.1 above shall be refunded to the Guest after all the work and attendances involved, if any, have been completed, which could reasonably be expected within 10 (ten) days of the check-out date unless the necessary repairs or replacement of broken / missing items take longer than this period to rectify. 10. Death, Personal Injury or Loss of Property: - 10.1. The Occupants and visitors to the premises use the accommodation at their own risk. Neither Red Cherry, any of its employees or officers, nor the Owner of the premises shall be liable for any loss or damages which any person may suffer as a result of death, injury, theft, damage to premises, accident or any event of whatsoever nature occurring during the occupation of the accommodation, whether as a result of Red Cherry (or its employees/officers) or the Owner?s default, negligence or otherwise. 10.2. The Occupants must provide their own comprehensive travel, medical and other insurance which must be in force for the whole Occupation period. 10.3. The Occupants shall accept full responsibility for any accidents caused by or arising out of their own negligence, misuse of premises or failure to comply with applicable statutes and regulations. Equally, no claims of any sort will be entertained by the Owner or Red Cherry in the event of incidents occurring whilst Occupants or visitors are under the influence of alcohol or any drugs, whether therapeutic or not. 11. Description of Premises: - 11.1. Minor differences between the actual premises and any description or illustration thereof may exist. While Red Cherry and the Owner have taken all reasonable steps to ensure the accuracy of such description and/or illustrations, they will not be liable for any non-material errors or differences, or for any consequential damage as a result thereof. 11.2. Non-material differences in the description of the premises will not amount to a breach of the Agreement and will not entitle the Guest to cancel the booking. 12. Jurisdiction: - 12.1. The Booking Form, General Conditions of Occupation and further rules regulating the occupation of the premises shall be interpreted and governed in accordance with the laws of the Republic of South Africa. 12.2. The Guest hereby, consents to the jurisdiction of the Magistrate&#39;s Court at Cape Town, notwithstanding that the amount claimed in such proceedings would otherwise exceed the monetary jurisdiction of the said court, and for that purpose, the parties accordingly give their consent in terms of Section 45 of the said Act. 13. Domicilium: - 13.1. The Guest appoints as his domicilium citandi et executandi for all purposes, at the premises during the Occupation period and otherwise at the address set out in the Booking Form. 13.2. All notices to be given to the Guest during the Occupation period shall be in writing and hand delivered to the premises and otherwise sent by e-mail at the address set out in the Booking Form. 13.3. All notices to be given to the Owner relative to the Booking shall be in writing and hand delivered to Red Cherry, or sent to the Red Cherry&#39;s e-mail address or fax number at the address or fax number appearing on the Booking Form. 14. General: - 14.1. The terms contained in the Booking Form and the General Conditions of Occupation cancel and supersede any prior agreement between the parties, verbal or otherwise. 14.2. The Booking Form, General Conditions of Occupation contain the entire agreement between the parties. 14.3. No alteration, variation or addition to the Booking Form or the General Conditions of Occupation shall be of any force or effect, unless reduced to writing and be signed by the parties to this agreement or their authorized representatives. 14.4. No indulgence, leniency or extension of time which any party may grant or show, shall in any way prejudice such party or preclude it from exercising any of its rights in the future. 14.5. All the provisions of this agreement shall be severable and no provision shall be affected by the invalidity of any other provision. In the event that any one or more of the provisions contained herein shall, for any reasons, be held to be invalid, illegal or unenforceable in any respect, such invalidity, illegality or unenforceability shall not affect any other provisions of this agreement, but this agreement shall be construed as if such invalid, illegal or unenforceable provisions had never been contained herein. 14.6. Red Cherry reserves the right to substitute the premises with another similar or higher quality property should the booked premises become unavailable for any reason whatsoever. If cancelling 30 days before arrival, forfeit 100% of the booking total.If cancelling 365 days before arrival, forfeit 50% of the booking total.